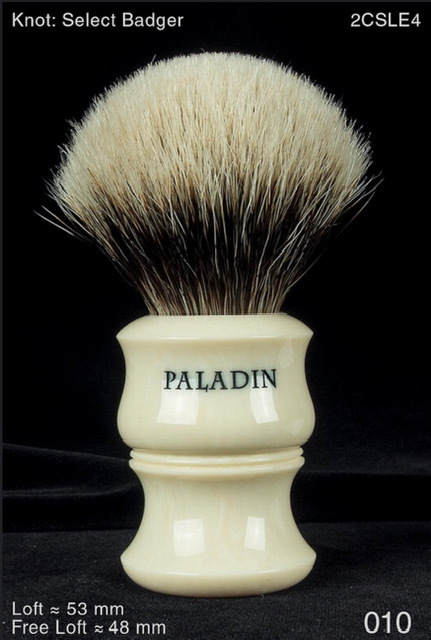 I am looking to sell or trade a few Paladin shave brushes. Actual pictures of the brushes to follow. With exception of the ivory brush, all were purchased new by me from Paladin. I do not have the cards for the ivory brush or the Krakatoa brush but the attached pictures are of the exact brushes listed. I will consider trades and offers but please don’t take offense if I kindly say no thank you. I am looking for a Timeless bronze .78oc, a stainless steel Timeless .95oc, RS-10 razor or other nice items (no brushes). SOLD (1) Paladin Lotus in Krakatoa resin with 26mm knot. 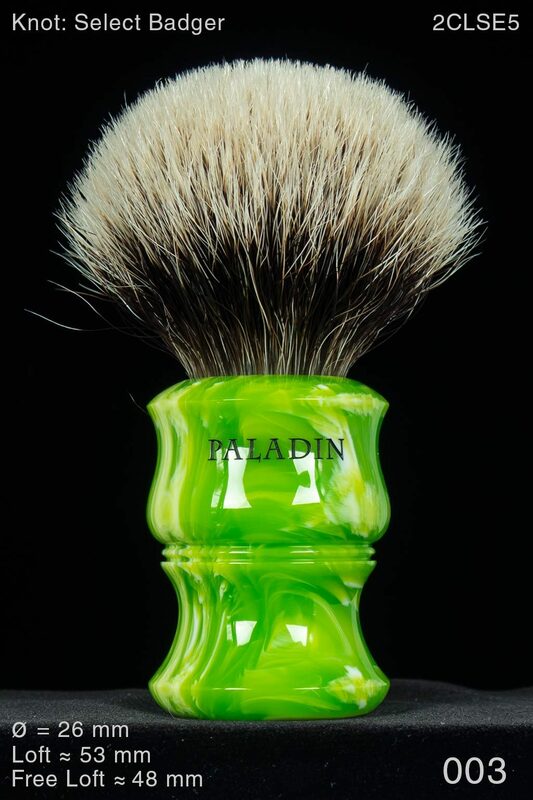 New this brush was $208.50 delivered. I am asking $150.00 delivered to the US. SOLD (2) Paladin Lotus in Lime resin with 26mm knot. 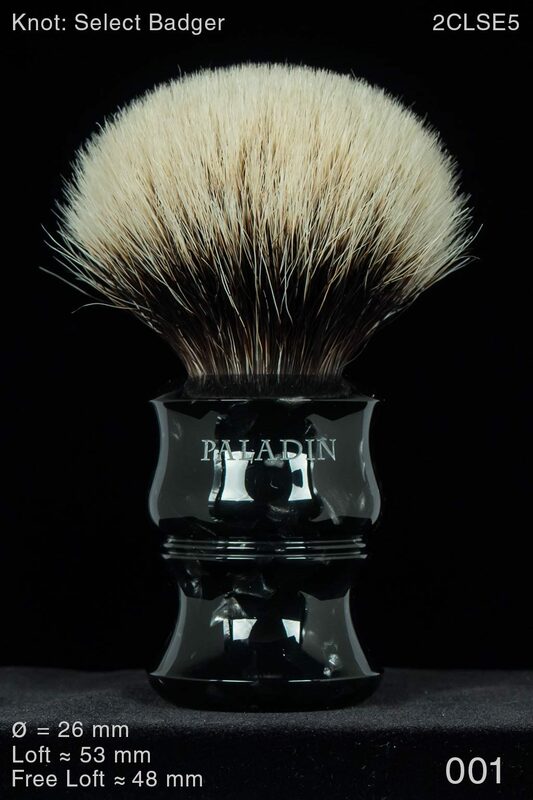 New this brush was $188.50 delivered. I am asking $160.00 deleiverd to the US. (3) Paladin Lotus in Ivory Resin with 26mm knot. I purchased this used from a member of this forum. I am asking $115.00 delivered to the US. (4) Paladin Lotus in Honey Noir resin with 26mm knot. 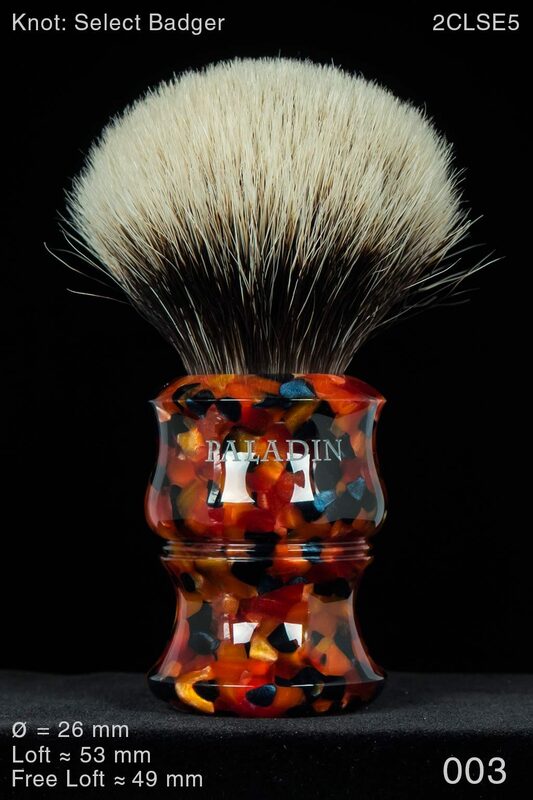 New this brush was $208.50 delivered. I am doing $185.00 delivered to the US. (5) Paladin Lotus in Graphite resin with 26mm knot. New this was $208.50 delivered. I am asking $165.00 delivered to the US. Could you put up a picture of the Honey Noir? Pictures will be put up as soon as I get off from work. They are all barely used and in like new condition.